The Gondo factory is operated by the New Kiriti Farmers Cooperative Society (F.C.S. ), which has 560 members. 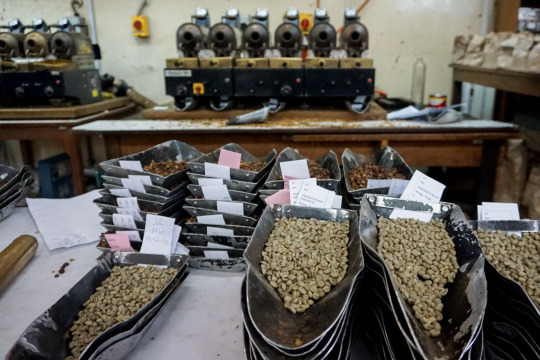 Coffee is picked and brought to the factory that same day for selection and separation, as sorting happens before depulping begins. The ripe cherry is processed using fresh water from the local Kananahu stream, and the coffee is dried under the full sun.